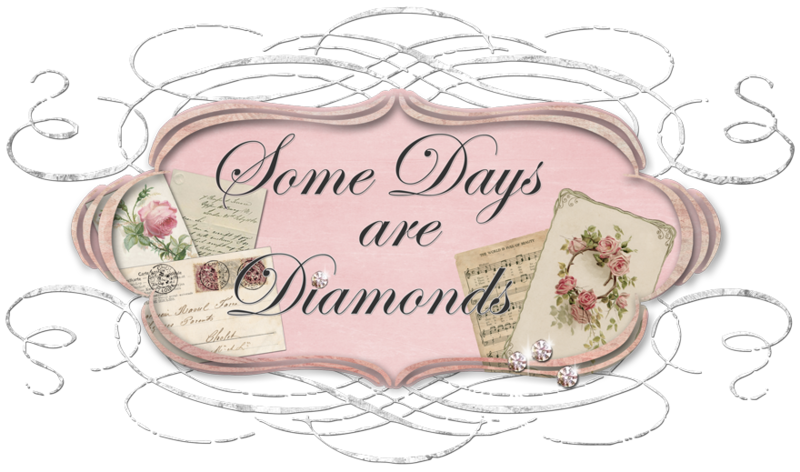 Some Days Are Diamonds: I'm home! Sigh! Hello sweet friends. I am back. Sigh. My wonderful time at my Art Event in Savannah is over. And predictably, upon arriving home to the real world, I am SWAMPED. Life truly does go on while we take a few moments out of our everyday life to just be, learn and create. There is so much more to come later. But . . . it'll take some time. So much to decipher, so much to edit, so much to enjoy all over again. It is too difficult to express how wonderful this event was for me. Petticoats and Parasols, hosted by Jennifer Hayslip. Jenn produced a top-notch, fabulous event. In every way. My thanks to her for taking this huge undertaking on so the rest of us could just enjoy while she stressed out (needlessly). But it had to be perfect - and it was. Miss Jenn - if you only knew how much so. And I have to thank Tiffany, Christine, Rosalyn Sue and Jo for making this weekend such a HUGE success! The five hands helping each other all contributed to making this just an awesome event for all of us. In so many different ways I learned so much. From meeting fabulous women who are so happy to share their knowledge and creative ideas, to learning some of our American history - both the good and the bad. I learned about the South, about it's people. I learned about friendship and what a wonderful thing it is. I even learned a few things about traveling and what NOT to do next time! (hehehe). So here are just a few special moments of my trip. The beauty of Savannah . . .
and some of it's history . . .
One of three very special evenings . . .
perfect - down to the smallest detail. . .
To get to know her on a more personal level . . .
sigh! just never thought it would happen. stayed up until 2 am looking at it all! And an entirely creative day - albeit a rainy one . . .
Ahhhh to live in the times of these gowns . . .
Our wonderful projects. I can't wait to finish mine. It was a special time filled with catching up with old friends, making new friends and creating memories I shall never, ever forget. I cannot wait until next time . . . But for now, it's off to unload 2 BIG suitcases, overly packed and way too heavy for the airlines liking . . . (big frown), laundry, chores around the house, a bazillion Emails to read and answer (including several from the boss, which leads me realize I have to go back to WORK tomorrow and that'll be another zoo in and of itself) did I mention I have to unpack? But as I do so I will need to treasure each and every item as I unpack it . . . trying to remember and put faces to names again . . . not to forget photographing it all . . . Welcome back to the real world Karen! OMG, girl what a fabulous looking event! You must have felt just like a southern belle! I love the pic of you and Jo, so pretty. And that table is set so beautifully! If you go back next year, take me pleeeeze! oh, it sounds sooooooo fun...I can't wait to see more!!! Welcome home...I can't wait to see more. You sound tired...which is to be expected! Talk to you soon!! Hi sweet Karen, so good to have you back. Your pictures are just wonderful....they really allow us to share everything with you!! You look darling! Can't wait to hear about everything. Who are those two cuties? Oh that would be me and Jodie:) Funny thing, meeting you felt like we had lived next door to each other and just met at the fence. Blogging does that to us, doesn't it? I treasure our friendship and we will be OLD and still be friends. I will visit you when I get even a little close to where you are. I am happy that you enjoyed the event! Sounds like a wonderful time and you made and received wonderful goodies! Love you my friend! Hugs and a sway! Wow! It looks like you had an absolutely dreamy time! Everything is soooo gorgeous! Savannah is one of my favorite cities and this looks like such fun! I was oooing and ahhing over each picture. I can't wait for more details! Welcome back my sweet friend! I can't wait to hear and see all about it! What I've seen so far looks fabulous!!! So glad to hear you had such a great time. Glad you made it home safely and had such a great time. I loved seeing the pictures. You look so cute in the picture. Get some rest girl...you sound so tired. Hi Karen, Your trip looks like it was so amazing. All the pretty goodies, and sight seeing and of course meeting all the fabulous ladies. I am so jealous. I can hardly wait to see your pics and hear more. Bet you had the time of your life with Jodie, she is such a kind soul. Karen - so wonderful to meet you in Savannah!! It was such a fun night at the pub with you and Jodie!! Berta as our waitress!! Too fun. Re-entering reality is TOUGH!! Hang in there!! So happy you had such a lovely time...now back to the real world! Welcome back home, Miss Karen! I'm kind of inhaling you pictures. It looks and sounds like you had a fabulous time. What sweet pictures of you and Jo and Jodie and Theresa. You all look so happy! The swap items are very pretty. Hopefully you will share some detailed pictures as well. I love the projects you were working on. The parasols are so sweet and the framed collages are beautiful! That Ford plantation looks awesome and it must have been wonderful to be there. What a shame that you can't relax for some days but have get back to work. Hopefully your boss will have some sympathy when you still have Savannah in mind. Karen your photos are lovely! I SO ENJOYED MEETING YOU! What a great time. It was wonderful having you at the table with me. I hope to see you again one day. welcome back Karen! So glad you enjoyed your trip. The south is just awesome huh? looks and sounds like a fabulous time was had by all. Honey, you just have entirely too much fun! No, I want you to have lots more. You can't have TOO much fun! how fun! it looks like it was such a fabulous time! thank you for sharing your great pics! how great to me jo, ganky, and so many others!!! Welcome back, Karen! And thank you for sharing your beautiful pictures. I'll give you and my Fairy Blog Mother a few days for your feet to get back on the ground. I sure hope you're going to share some pictures of your gifts! I can't wait to see what others made. Thank you so much for sharing your gorgeous photos! I've so much enjoyed popping from blog to blog and reading all about Jenn's event. It looks amazing! I'm so glad you had fun! Will you be coming to Kim Caldwell's Le Sirenes event this summer? It's going to be incredible. Also... I got such a kick out seeing your funny doggies getting into trouble. They are so darn adorable. Love the pictures.